oh jesus! get ready london this is it! 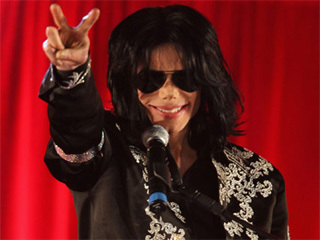 the king of pop is back in london for one last time! and yes is it gonna be one hell of a show...dont worry the rest of the world in sure hes gonna visit u and he clearly said my last show performances IN LONDON!!!!! which clearly states theres gonna be more shows everywhere else!!!! yooooohooo THIS IS IT!!! michael all the way. god bless you! I agree with you. There is some talk over here in the Uk about if it is successful (oh please like it won't be)...then it is likely he will take the show to New York, Paris and somewhere in Asia (doesn't narrow that one down much but I can't remember lol). It is likely to be a 3 year deal with new music release in there too...oh yes! I think he EXACTLY said my last show performances IN London. I think he is still gonna make some shows anywhere else but this July willbe his last show IN London..
how can download this teaser ?